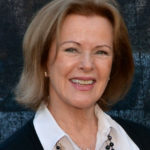 Anni-Frid Synni commonly known as Frida Lyngstad is a Norwegian-born Swedish singer, songwriter, and environmentalist. She is best known as one of the lead singers of the Swedish pop band ABBA. "Being rich and famous isn’t all happiness and at times the pressures have got to me."